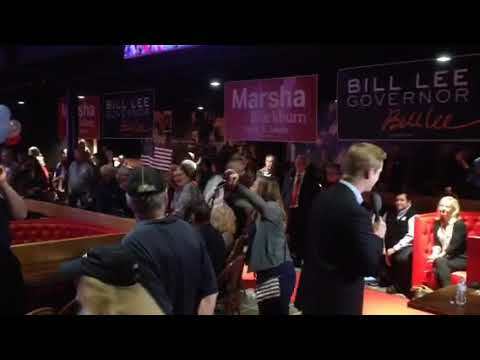 Congresswoman Marsha Blackburn, who is running for Senator Bob Corker’s Senate seat next month, held a campaign event in Nashville Sunday evening featuring Senator Lindsey Graham (R-South Carolina). During the campaign event, a moment of silence was observed in honor of the Pittsburgh shooting victims. In response, Blackburn supporters began chanting “USA, USA” while other protesters began to chant “Black Lives Matter”, as security guards and later police intervened and removed the demonstrators. What kind of people would elect these “tolerant” “civilized” people whom Hillary wants to represent?